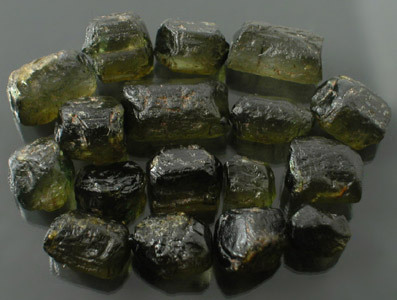 New Find of Greenish Yellow to Hunter Green Dichroic Mozambique Tourmaline Top Facet Rough Lot!! 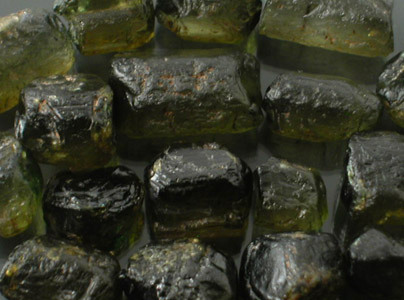 Awesome lot of a New Discovery of VERY STRONGLY Dichroic Tourmaline coming from Cabo Delgado, Mozambique. 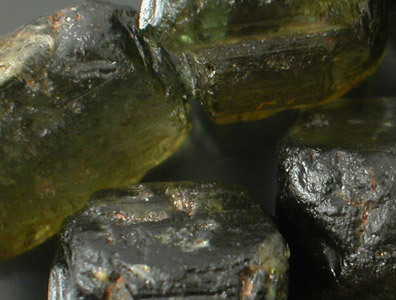 An article on this material was recently published in Gems & Gemology and you can view the published article HERE under "Tourmaline (dravite and liddicoatite) from northeastern Mozambique." 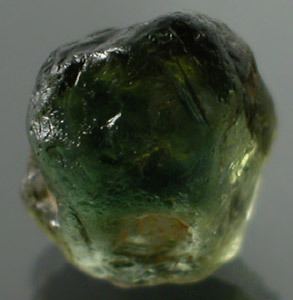 We had a few of these cut for the GIA Publication and GIA's analysis said that some of the cut stones were Liddicoatite while others were Dravite. 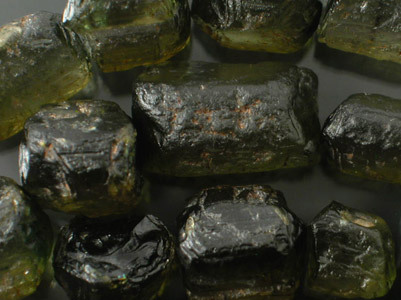 This is some really unusual Tourmaline that runs a Greenish Olive Yellow color down the AB Axis and a Hunter Green color down the C Axis. 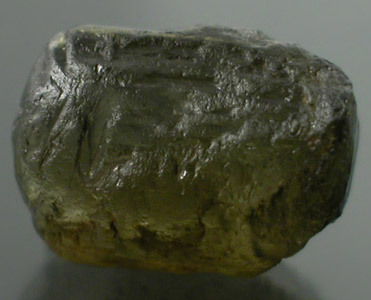 Most if not all of the material has a really dark to closed C axis and you will have to cut this to complement the C Axis; however, we are confident you will take out some rare finished gems from this lot considering the unusual dichroism! 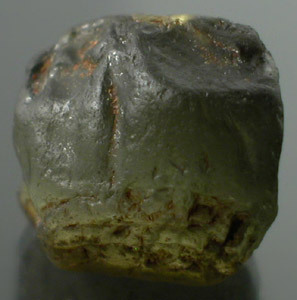 At present there seems to be three different deposits in Cabo Delgado producing this material or a variant of it. Overall the material looks glassy clean and almost every stone should yield an Eye-clean or better finished gem with a little planning. We don't have much of this material on hand so don't miss the opportunity to pick this up before it is gone!